True Color - Color Mixing Assistant helps artists, painters and designers mix and sample colors. Available now for iPhone, iPad and iPod touch. Mixing colors for watercolor, oil and acrylic painting can be challenging. It requires understanding color theory, experience and sometimes trial-and-error. True Color allows you to virtually mix millions of colors with a simple and intuitive dial system to fine tune a color recipe. True Color shows you the proportion of each primary color component required to mix the perfect color you are looking for. Now you can explore new colors without wasting expensive paints. It is the perfect companion for studying color theory. Sometimes, you just can't seem to mix the right color. True Color features a revolutionary color picker. Just take a picture with your camera or choose one from the photo album. Then move the marker to sample the desired color. 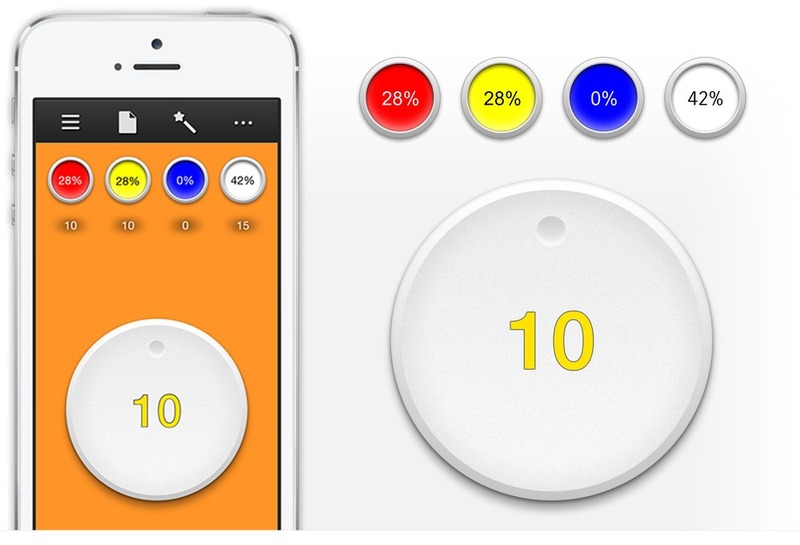 True Color automatically generates the color recipe with one simple tap. Along with the built-in color map, finding the perfect colors for your next masterpiece has never been easier. From now on, no more guesswork for your artwork. After finding that perfect color, the last thing you want is to forget how to mix it again. Fortunately, you can save your favorite color recipes in True Color. The next time you want to mix that color, just tap and load up the recipe. Therefore you can create the same perfect color long after the paint has dried up on your palette. With the share function, you can share your favorite color recipes on Facebook, Twitter and many more. "True Color is one of those apps that definitely has a practical application but is also just fun." "It’s great for artists who want to play with colors without wasting precious paint. It’s also perfect for folks who enjoy color theory and just want to mix things up on the fly."